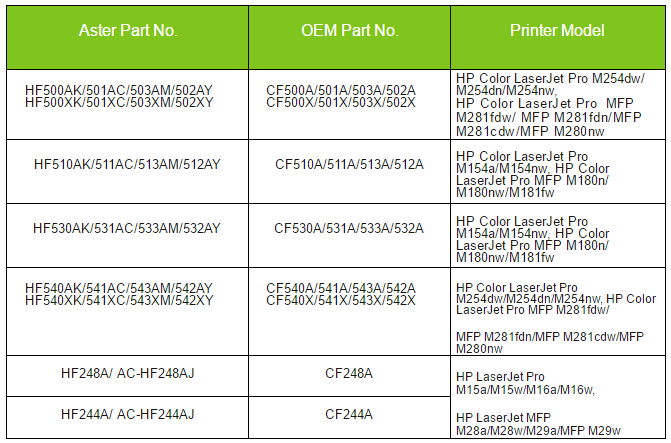 Aster monitored that HP updated the ﬁrmware on some of the LaserJet Pro M154nw and M254dw (toner cartridge: CF530/540), LaserJet Pro M15a and M16a (toner cartridge: CF244A) printers, which were originally produced in December 2018. As a result of the upgrade, all related compatible chips in the market are suffering non-recognition issue. 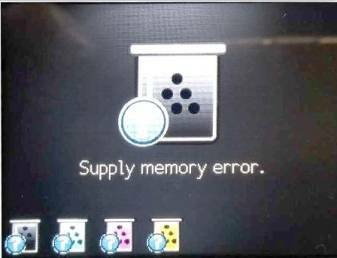 Also, error message “Supply memory error” displays on the printer, and 4 indicator lights ﬂash together with the alarm. 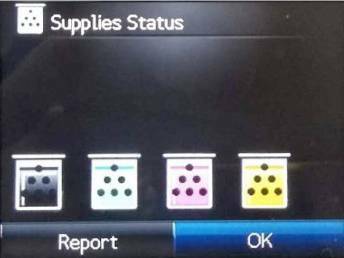 Aster analyzes that this has been the third ﬁrmware upgrade on the above-mentioned series of printers. This time, some of the new machines have been upgraded. According to the trends, this series HP printers are expected two more ﬁrmware upgrades in the second half of 2019. To solve the firmware upgrade problem, Aster has updated the related chips. As is verified, Aster’s upgraded chips can perform normally on the above-mentioned printers. Aster is the first company to launch toner cartridges for HP CF530/540 and CF244 for use in the upgraded printer, and this is at least one month earlier than other competitors in the market. Aster’s products also fit in the printers before and after upgrade. Bulk Supply is already available from 30 March, 2019. Aster will continue to monitor the upgrade of the printer to prevent the upgrade risks and help customers to minimize the risks. For more information, please contact europe@goaster.com.